Whether it's a big office party or a smaller gathering with friends and family, planning a Christmas party can be stressful and nerve-racking for many of us; especially when the competition to host the best party is tough. What better way to set the festive party mood and really wow your guests than to put on a show with a dazzling lighting projector? This year we are offering three of Premier Decorations' projectors ranging from £34.99-£44.99; the LED Snowflake Projector, the Laser Light Projector and the LED Crystal Ball Light Projector, all suitable for small events, stages and parties. Each of the projectors have sound recognition so the lights (and your guests!) can dance around the room in harmony to the party music. Each of the three projectors have different designs and features so you will be sure to find one that will be most suitable for your party/event this Winter: LED Snowflake Projector - £34.99 Possibly the most festive of them all, the LED Snowflake Projector will make a beautiful addition to any party this Winter. 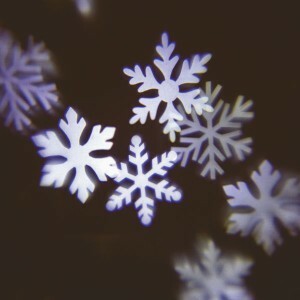 Projecting four different snowflake patterns onto walls and ceilings, you control how fast or how gently the snowflakes float around the room with the speed controller. This projector can be mounted onto walls or ceilings using the bracket, or left freestanding on a floor or surface. 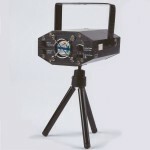 [embed]https://www.youtube.com/watch?v=lsZDAwQsV-s[/embed] Laser Light Projector - £39.99 If you want more of a bright 'strobe' effect for your party, then the Laser Light Projector may be more suitable for your party! This laser-device is super compact and can be mounted to walls or ceilings, or left freestanding on the included tripod. Four different designs can be projected onto the surrounding walls and ceiling; snowflakes, starbursts, dots and stars making it ideal for parties all year round. 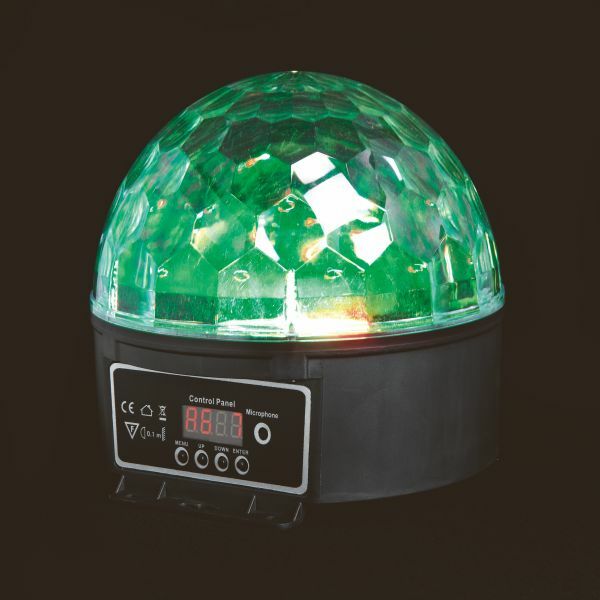 [embed]https://www.youtube.com/watch?v=O3ZFNXI4i08#t=29[/embed] LED Crystal Ball Light Projector - £39.99 The LED Crystal Ball is certainly a less conventional design of lighting projector! The compact dome beams flashing or static patterns in a mixture of red green and blue colours. You control the speed - handy for when it's time to turn the party up a notch or two (or down when the party is drawing to a close)! 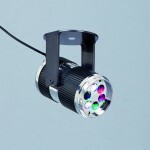 This projector can be connected to a DMX512 controller for larger scale events. [embed]https://www.youtube.com/watch?v=Hi4dfAHAtso[/embed] All three of these lighting projectors by Premier Decorations can be bought either instore or online from Longacres. To see the full range of Premier Decorations that we offer, click here. Please note that all projectors are suitable for indoor use only.